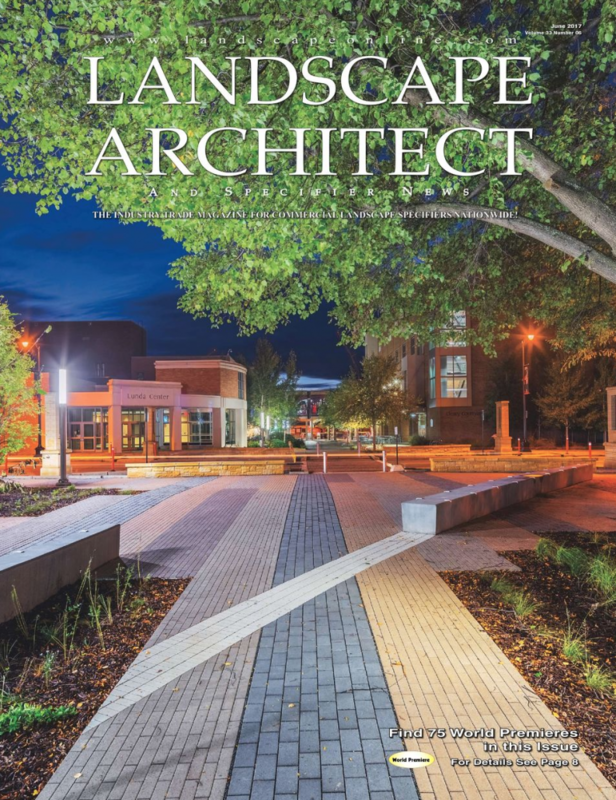 Landscape Architect & Specifier’s June, 2017 issue features a Southern Aquatics project, Century Link Campus. Century Link is a S&P 500 telecommunications company with is headquarters located in Monroe, LA. The 2.2 acre courtyard serves to connect the office building and technology center with multiple spaces to provide dynamic character. Southern Aquatics was able to assist in bringing landscape architecture firm, EDGE’s vision to life. The courtyard makes a stunning visual appeal with its eleven pools, plume jet fountains located along the path, and low flow cascading jets. The visuals and calming noise of the fountains adds a serene quality that invites both employees and visitors. Having this type of inviting workspace adds to Century Link’s amenities and amazing talent.